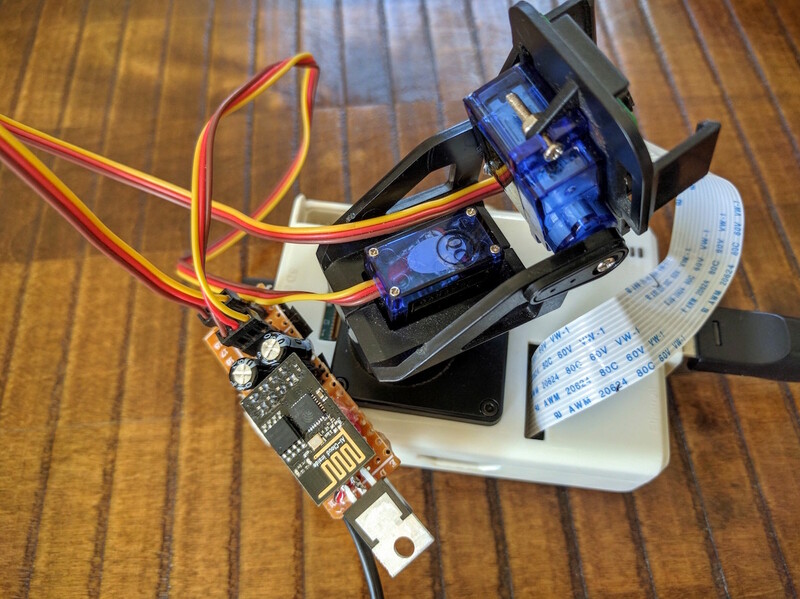 Pan/Tilt Webcam Control via ESP8266 and @Blynk_app, for Raspberry Pi #IoT #IoTuesday « Adafruit Industries – Makers, hackers, artists, designers and engineers! This is a remarkably simple and simply useful build, made with incredible ease thanks to the provided code and drag-n-drop builder. We’ve all been there. We install a web cam, march off to our screen to check what it sees, then come back to make adjustments. Of course, we’re never really satisfied; there’s always something more interesting happening out of frame. When you’re viewing remotely, there’s not much you can do.